Jazmyne, we are very happy we could provide you with a positive experience! Thank you so much again for your feedback! We hope you have a great day! I enjoy living here, I just enjoy how much noise you hear from the apartment above you. I’ve called management but they do nothing about it and somehow make it seem like it’s your fault. Besides that and the weird way they have the parking I do love living here. Stephanie, we appreciate you taking the time to leave us this feedback. Please let us know if there is anything else we can do for you; we are more than happy to help! It was easy moving in, everyone is quite friendly, great neighborhood plus it’s right next to Costco! It was a great idea to move to Fiori Estates. 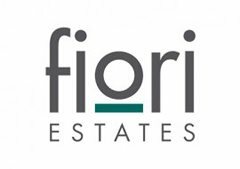 Keri, we are so happy to read such a great review about Fiori Estates! Thank you for your positive review! Very spacious space, lots a things to do. The pool area and fire pit is spectacular. It feels very comfortable. The only thing I don’t like is the lack of guest parking. Jasmer, Thank you for taking the time to leave a review for us at Fiori Estates. Such an beautiful amazing community to be apart of! The gym has been my favorite thing her so far and is super convenient not having to go to an actual gym. Jordan, Thank you for your positive review! We are glad you love the amenities here at Fiori Estates! My husband and I have loved living here. I never thought apartment living would be for me, but honestly I never want to leave now. We have a dog so it's so nice having the dog run close by to let him out and we love that the gym is open 24/7 for us since we both work abnormal schedules. Jasmine, Thank you for your positive review! We are happy hear your dog gets to enjoy the dog run! I rate my apartment community as excellent. It is very quiet and people have respect for each other. My apartment community is one of a kind in Rohnert Park. Michael, we really appreciate your feedback! Thank you, and have a fantastic day! Ronald, thank you for your kind review; we are happy to pass along your comments to the team here at Fiori Estates! great community! they have awesome amenities! We love using the gym and hot tub. We also never have to worry about packages getting stolen because they are put into lockers and they email you codes. Jacqueline, Thank you for your review! We're so glad that we were able to go above and beyond your expectations! The maintenance staff is amazing all around. Lack of guest parking is atrocious and appalling for a community of this size., Community residents are very nice. Paul, Thank you again for taking the time to let us know how we did. We hope you have a great day! So far its been very pleasant, love the neighborhood, clean very friendly. The perks are really nice, i didn't even know about trash pickups. Overall, no complaints. Maintenance is quick to help. Neighbors are friendly. No significant noise concerns. Apartments are in great shape. Nicest in RP. I truly love the apartment, but the complex does not offer a 3rd parking spot to households which include 3+ adults. This forces tenants to park at a “near by” school (not so near by). There are “future resident” parking spots in front of the office that we are NOT allowed to use during off hours which does not make any sense. Allow me to purchase a third parking spot or open the “future resident” parking spots overnight and this would easily be a 5 star experience. Staff is amazing and clear in communication. Issues are handled in a timely manner. Nothing More you can ask of staff. Had many adjustment made to my lease due to certain life events and I am very happy as to how they handled it. Great place! Nice apartment and the pool area is a lot of fun. Excellent gym and Rec Room to be able to play pool. The staff is nice and helpful. I have been a month and am absolutely in love! Everyone has been so friendly from management to our neighbors. We couldn't have picked a better location to live! moved in at the begging of the year and so far i love it here, the complex is always spotless, the apartment is super nice, and all the people are so friendly, def looking forward to living here for a while! My second year here and still loving Sonoma County and living at Fiori Estates. Great value for the price. Grounds are beautifully landscaped and maintained. The amount of dog barking in the quadrant I live in is annoying beyond belief. It happens early in the morning for hours, then late in the evening, even at 1:30 a.m. as the woman just stands outside and lets them bark right below my window. Other than that, the complex is pretty decent. Awesome place to live, wish there was better parking situation, there isn’t enough parking spots, the club house needs to be open until 10 pm just like the pool are closes, pool table closes at 6, by the time I get home the place is already closed!!! STAY OPEN LATER!!!! So far i have enjoyed my stay everything is close by so i dont need to travel too far, its also close to the freeway so getting to and from work is also good.